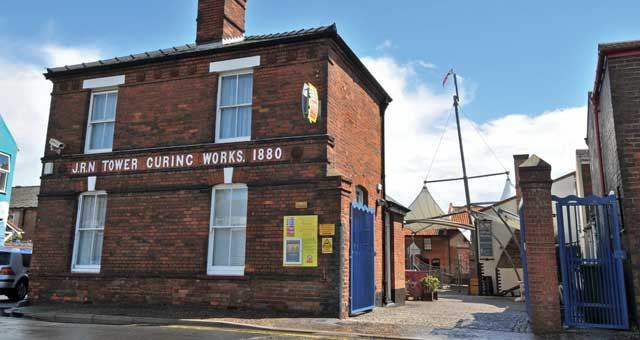 Time and Tide - Museum of Great Yarmouth01493 743930work Museum - IndustrialTime & Tide in Great Yarmouth is set in one of the UK's best preserved Victorian Herring curing works, and tells the story of Great Yarmouth from its ice age origins to the present day. Experience the heady atmosphere of a 1950's fish wharf and take the wheel of a steam drifter. 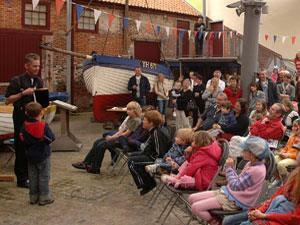 Hear gripping tales of wreck and rescue and meet some of the colourful characters who made their living from the sea. Save up to £3. 50p off full admission price for up to 6 people. Terms & conditions: Valid for 2019 season only. Not valid in conjunction with any other offer or promotion. No photocopies accepted. Time & Tide in Great Yarmouth is set in one of the UK's best preserved Victorian Herring curing works, and tells the story of Great Yarmouth from its ice age origins to the present day. Explore the original smokehouses where the lingering aroma of smoked fish is a reminder of times gone by. Enjoy fascinating archive film shows and hands on displays and relax in the attractive courtyard beneath a canopy of sails. Museum Pass holders free and under 4's free. Discounts for groups ring 01493 743943 (non schools) 01493 743944 (schools).